Medical geography is an emerging field of health research that focuses on the spatio-temporal facets of health-related issues. 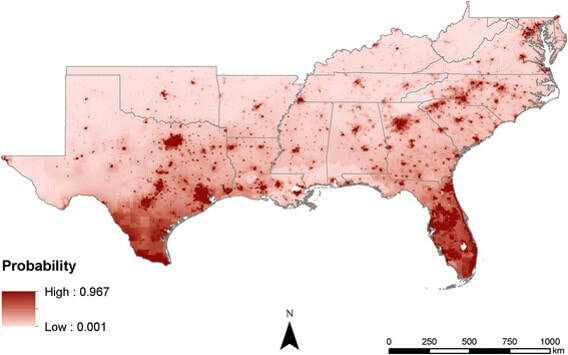 Some of my own research has examined the state-by-state spatial patterns of HIV-AIDS cases in the USA, the spread of the yellow fever virus during an 1878 outbreak in New Orleans, mosquito mapping in East Baton Rouge Parish related to a potential West Nile outbreak, and the transmission of H1N1 (Swine Flu) during the 2009 outbreak. Medical geography sometimes blends with spatial epidemiology, but it is often more focused on the human aspect than the epidemiology and ecology aspect. I currently collaborate on multiple projects with the College of Public Health (CPH), College of Medicine (CM), College of Nursing (CN), and College of Pharmacy at ETSU. 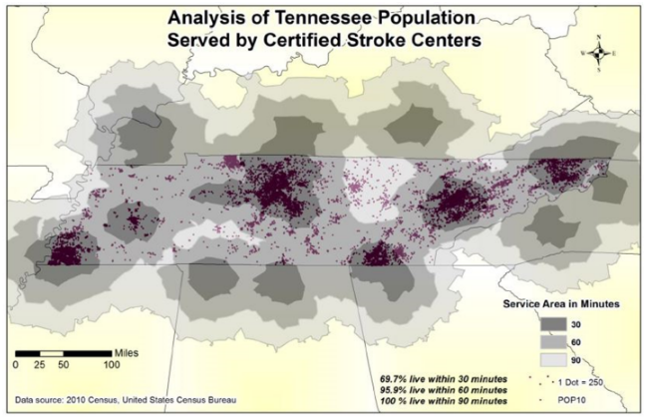 For the CPH, ongoing projects include air pollution mapping and community outreach, stroke center location planning in Tennessee (link), an examination of school and tanning booth proximity relationships in northeast Tennessee, and impacts of the built environment on Metabolic Syndrome in Hispanic children (see map to the left). For the CN, one of my graduate students applied cluster and spatial regression analysis to explore spatial and temporal patterns for abdominal aortic aneurysms in Louisiana between 2001 and 2014. Key components of medical geography include health care accessibility and access to clean water supplies - two things that are often taken for granted in most developed countries. 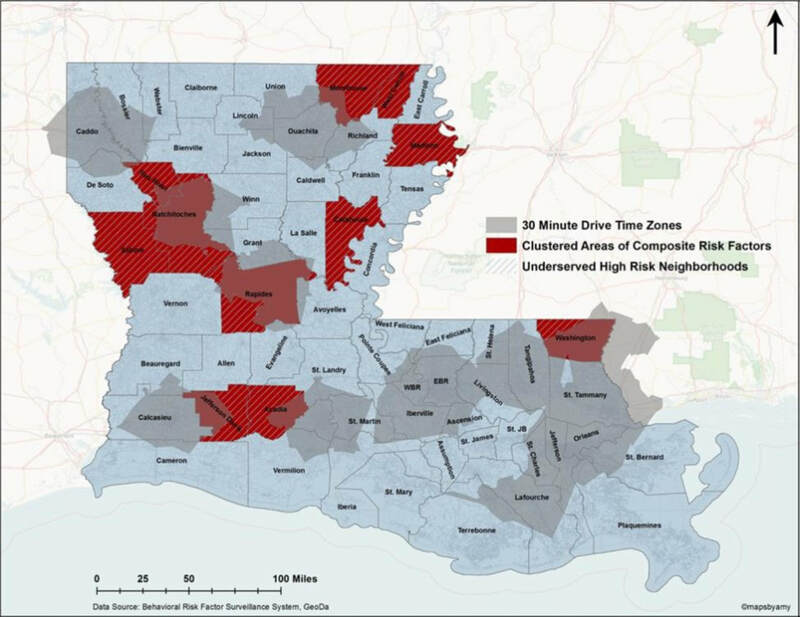 Health care accessibility in some developed countries such as the United States continues to be a problem in areas that are predominantly composed of poor and/or minority populations (see map on the right created by MS graduate student Amy Poole showing AAA risk factor clustering and 30-minute drive times to screening locations in Louisiana - thesis link). Issues of accessibility are inherently spatial in nature and there are many ways to analyze and map accessibility. 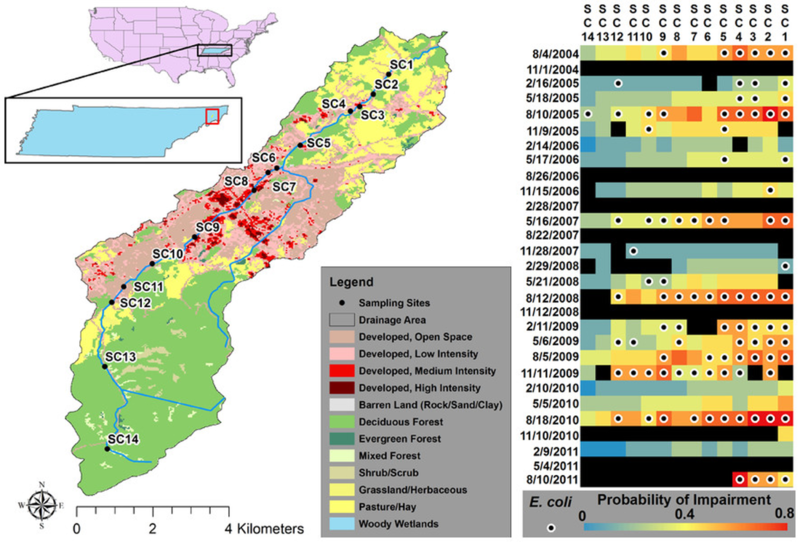 Spatial science can also identify areas where humans may be more susceptible to major diseases including malaria, dengue fever, lyme disease, chagas, yellow fever, zika, brucellosis, or disease-causing bacteria like E. coli or B. anthracis. 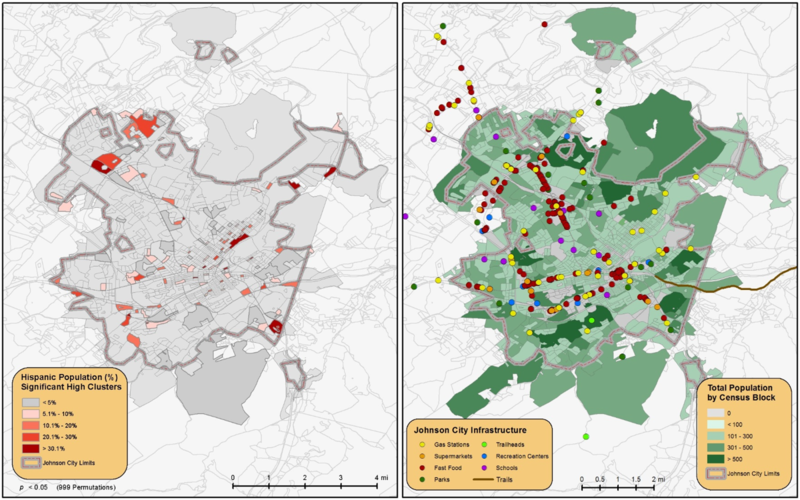 Once spatial patterns or densities are identified, then measures of prevention can be suggested and realized (e.g., providing mosquito netting to people in specific locations). Clean water and sufficient sewage systems can also help prevent cholera, typhoid, and worm-born diseases such as filariasis, or reduce E. coli levels. Identifying areas where clean drinking water exist and does not exist and then identifying the appropriate location to build a new well to maximize the impacted population are all questions that a medical geographer is uniquely qualified to answer. Developed by Dr. Megan Quinn, Dr. Julie Obenauer, & Casey Morrell - Click for more info! Developed by Dr. Julie Obenauer - Click for more info! Developed by Dr. Dennis Gilfillan - Click for more info!